Henry Farrer (English-born American, 1844–1903) came to the US as a young man. 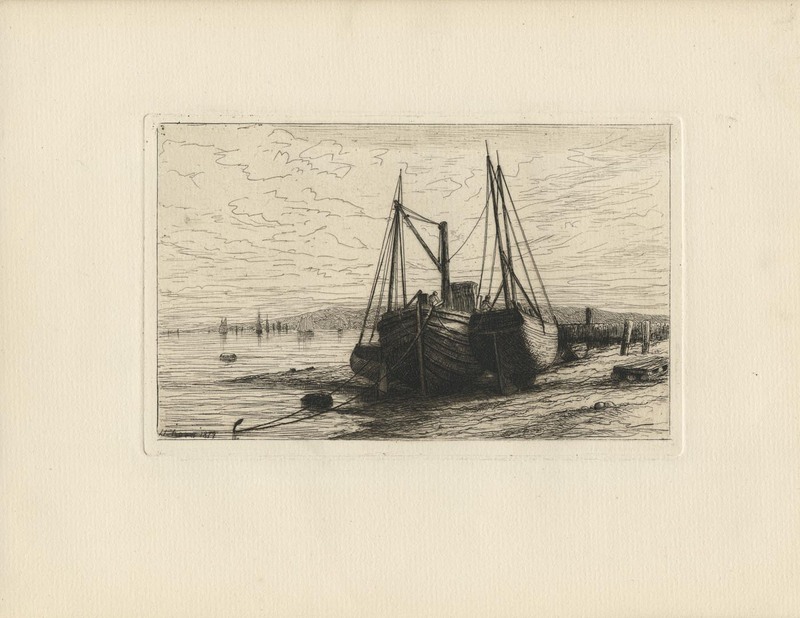 He built his own etching press and made his first etching in 1868. A self-taught artist, Farrer first aligned himself with the Pre-Raphaelite movement. He then moved toward the tonalist style, making watercolors and etchings depicting quiet waterside settings, rich in mood and atmosphere. 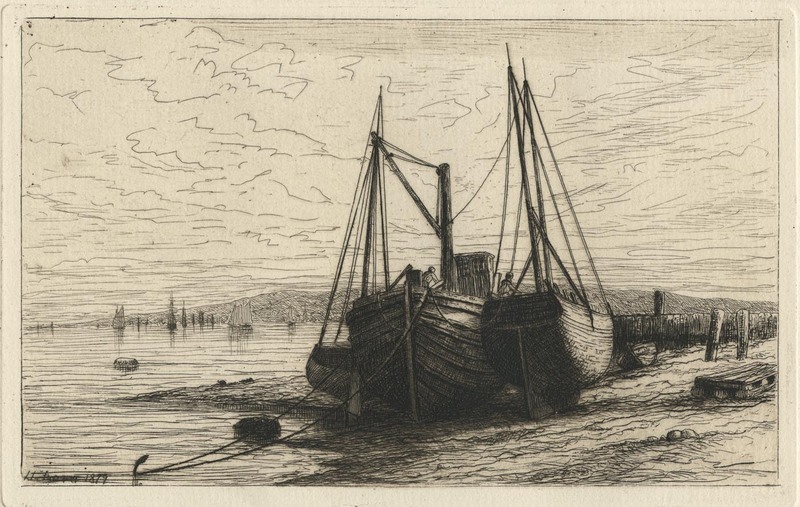 Farrer helped to found the New York Etching Club, a major force in the American etching revival. He was also a co-founder of the American Watercolor society.